I have been a classic car collector for 35 years, first time listing to sell 60 of my 70 my personal collection of classics. This car is both a convertible and a hardtop and the hardtop is included in the sales price. This is a very nice and highly prized automobile because this model was only manufactured in 1972. It drives well and runs smoothly and the power steering, brakes and other options operate very efficiently. These are highly collectable cars and clean ones like this one are even harder to come by. 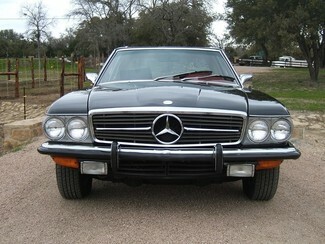 The 1972 Mercedes-Benz 350SL Roadster, produced by Daimler-Benz AG. Stuttgart in Germany for the US Market is one of the rarest of all the SL's because it only had a production life of one year! The black convertible top is manual and folds easily into the well below the hard boot. All 1972 SLs packed a 4.5 liter V8 that is one of the most reliable engines ever built. With fuel injection and a lack of emissions controls in 1972 it's the best possible combination of power and performance in an early SL making it quite lively on the road. The transmission shifts well and the brakes are very good also.